And in a bright color, no less! Labucq Chan Sandal in lime patent, $325, available here. With spring officially here, it&apos;s time to flip my wardrobe from sweaters and coats to T-shirts and lightweight (sometimes quilted) jackets. One thing, however, that usually stays the same is my choice of footwear. I generally opt out of wearing sandals or any other type of open-toed shoe because one, do you know how dirty these city sidewalks are? And two, maintaining a steady, seasonal schedule of pedicures is time-consuming and costly. (Don&apos;t get me wrong, though, I love a good pedicure.) 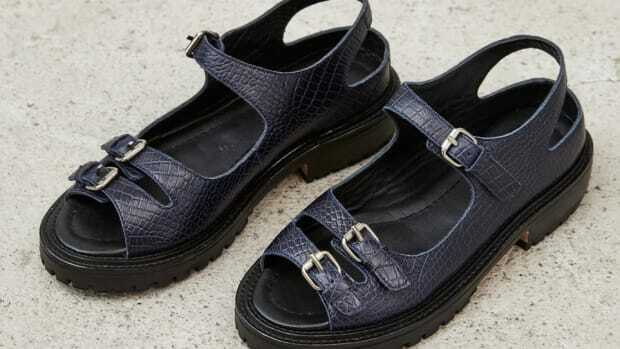 So once the warmer months kick in, I&apos;m still rotating through my favorite sneakers, boots and flats, while everyone else is showing off their stylish slides or sandals and a fresh coat of nail polish. 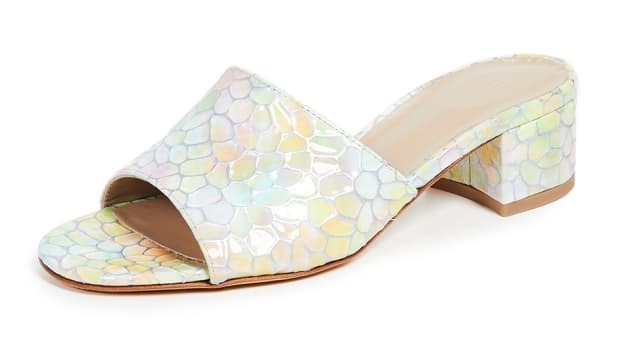 But that might all change because I found a pair of sandals that may finally convince me to actually wear open-toed shoes this season. And in a bright color, no less! 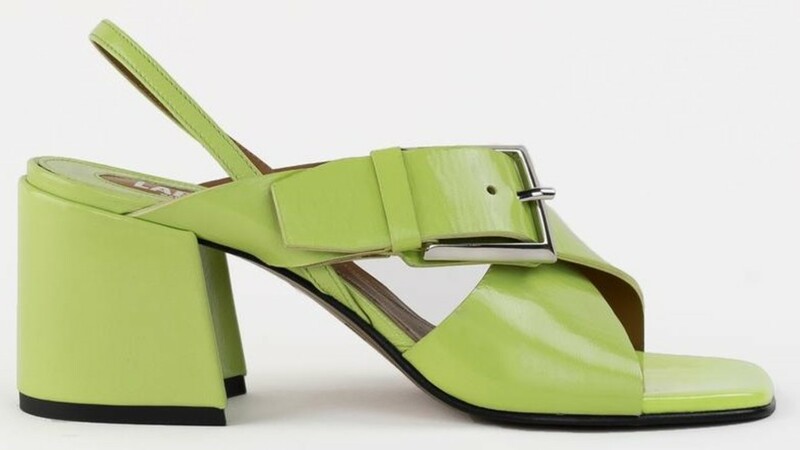 These lime-green patent leather sandals are brand new from Labucq, a young footwear brand from Rag & Bone alum Lauren Bucquet. I already have a pair of boots from the designer, so I know these are well-made and comfortable. 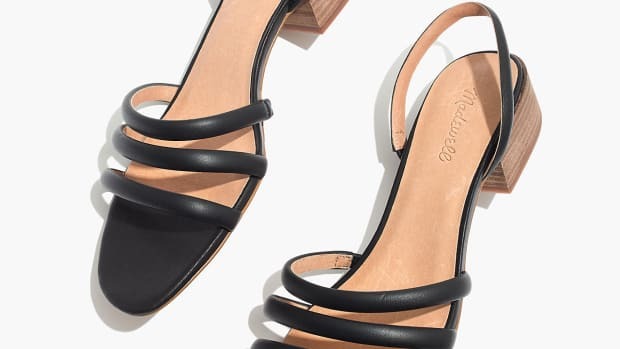 Sure, I could go for the sandal&apos;s more neutral combination — brown python with a black block heel — but if I&apos;m already making a significant change in my spring/summer footwear habits, I might as well go big, right? It's that time of year for me, folks. 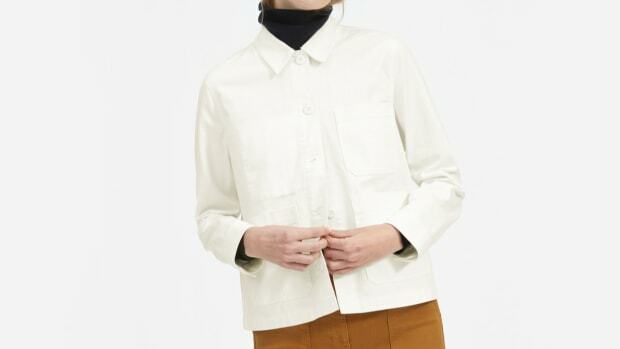 And a pair of matching carpenter pants, too.